Pinecam.com • View topic - Mountain Resource Center is hosting a Community Open House! 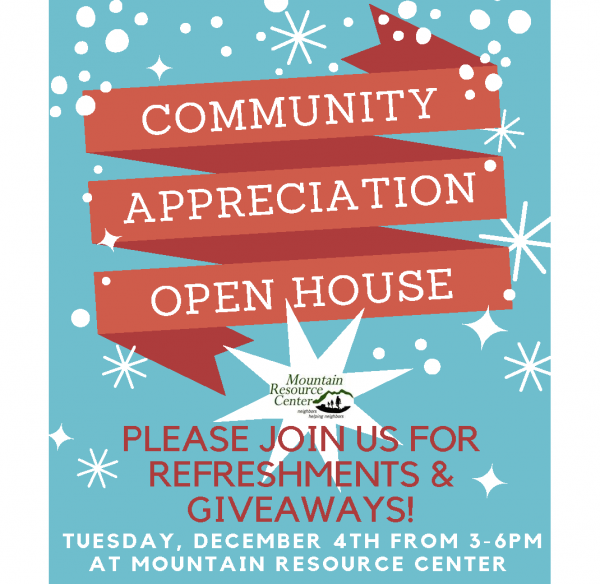 Post subject: Mountain Resource Center is hosting a Community Open House! OPEN TO ALL VOLUNTEERS, DONORS & COMMUNITY MEMBERS ~ WE COULDN'T DO IT WITHOUT YOU!